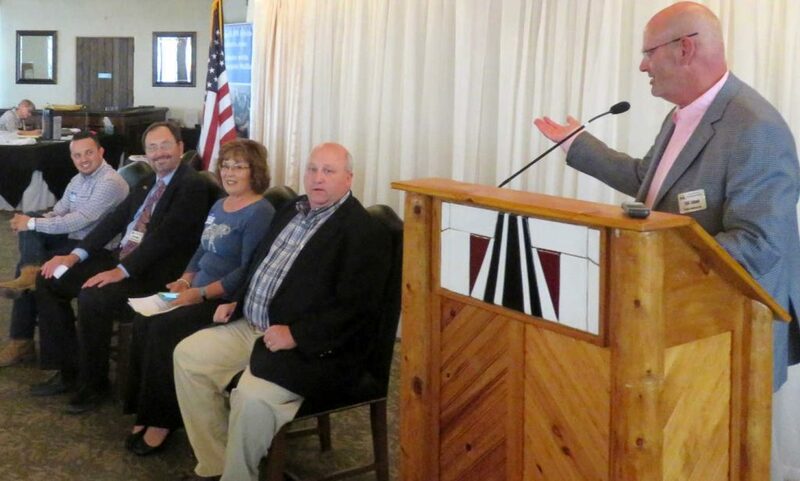 From the Wichita Pachyderm Club: A panel presentation on the topic “Why I Am a Republican.” Panelists, in order of their initial remarks, are Ben Sauceda, former Sedgwick County Commissioner Karl Peterjohn, Precinct Leader Linda Baker, and Sedgwick County Commissioner Richard Ranzau. Todd Johnson is the moderator. This audio presentation was recorded on September 15, 2017. Yesterday evening the Sedgwick County Republican Party censured a Sedgwick County Commissioner for supporting a Democrat in an upcoming election. Treatha Brown-Foster, who is chair of Kansas Black Republican Council, offered a resolution critical of Jim Skelton. The resolution was met with applause. The motion was seconded and the vote to approve it was unanimous. 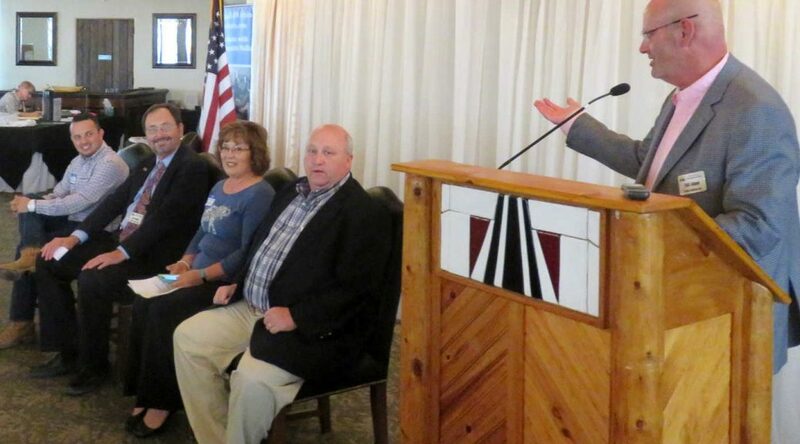 In June Skelton expressed his support in a Wichita Eagle article for incumbent Tim Norton over challenger Ben Sauceda. Norton is a Democrat; Sauceda is a Republican. The two face no primary challenges, and will meet in the November 6th general election. In January Skelton joined with fellow Republican Commissioner Dave Unruh to elect Norton as commission chair. Despite Republicans holding a four to one majority, the commission is chaired by a Democrat.